Cross-platform: Runs on Windows, macOS and Linux; can be ported to other OSes. The supported Operating Systems (OS), CPUs and application scenarios will grow over time, provided by Microsoft, other companies, and individuals. Compatible: .NET Core is compatible with .NET Framework, Xamarin and Mono, via the - .NET Standard Library. 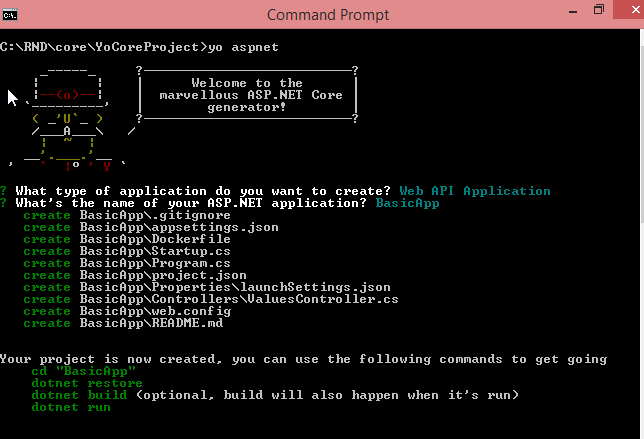 It's possible to create a new ASP.NET Core project entirely from the command line using the dotnet command. dotnet new web scaffolds a new "empty" web project. 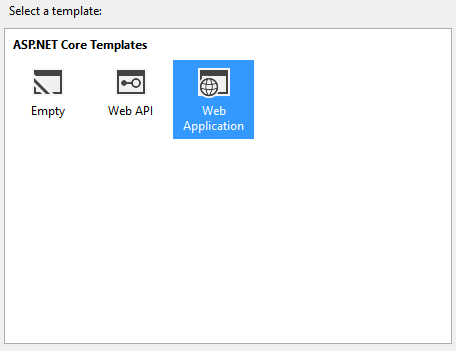 The web parameter tells the dotnet tool to use the ASP.NET Core Empty template. Use dotnet new -all to show all the available templates currently installed. 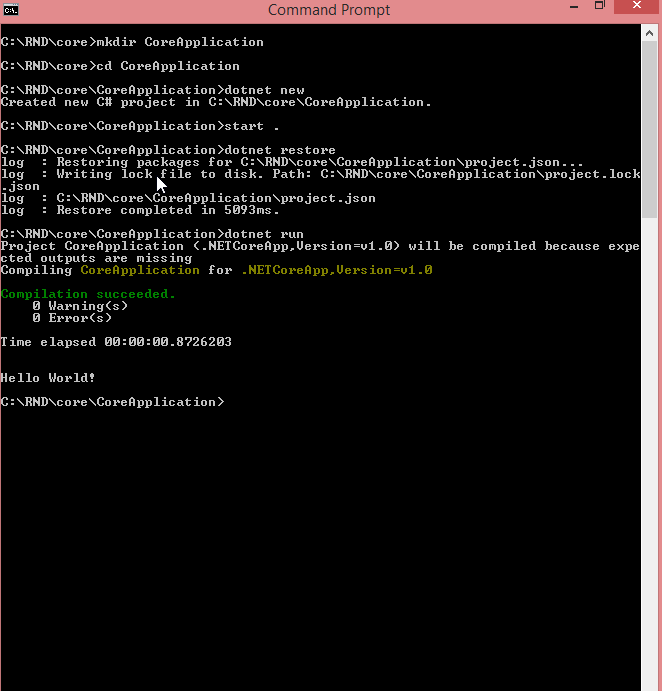 Other key templates include console , classlib , mvc and xunit . 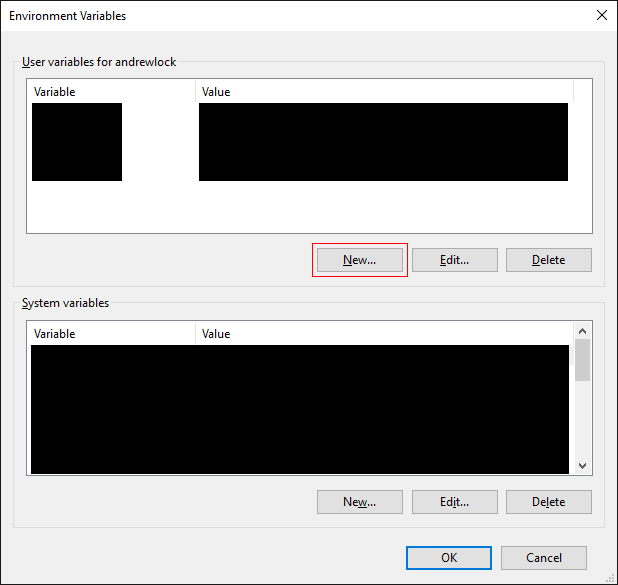 Once the template has been scaffolded out, you can restore the packages required to run the project (dotnet restore ), and compile and start it (dotnet run ). If you do not have Visual Studio installed, you can download the free Visual Studio Community Edition here. If you already have it installed, you can proceed to the next step. Creating an ASP.NET Core MVC Application. Select Web under the language of your choice within the Templates section on the left. Choose a preferred Project type within the dialog. Name your project and indicate if you want to create a Solution for the project. Each of the descriptions are self-explanatory. For this first project, select Web Application, which will contain all of the default configurations, authentication, and some existing content. Since this is an introduction application and doesn't require any security or authentication, you can change the authentication option to No Authentication on the right-side of the dialog and click OK to create the project. You can now see that your project is up and running locally and is ready as a starting point for you to build your application. With ASP.NET Core 1.0, the MVC and Web API framework have been merged into one framework called ASP.NET Core MVC. This is a good thing, since MVC and Web API share a lot of functionality, yet there always were subtle differences and code duplication. However, merging these two into framework one also made it more difficult to distinguish one from another. For example, the Microsoft.AspNet.WebApi represents the Web API 5.x.x framework, not the new one. 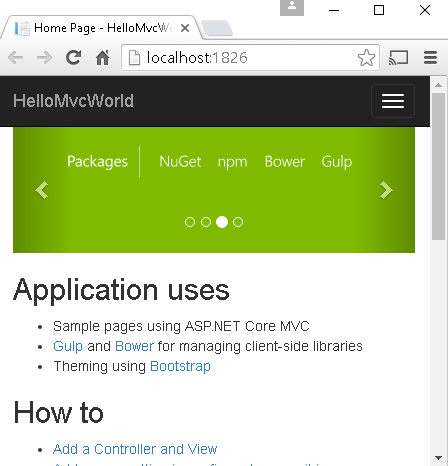 But, when you include Microsoft.AspNetCore.Mvc (version 1.0.0 ), you get the full blown package. 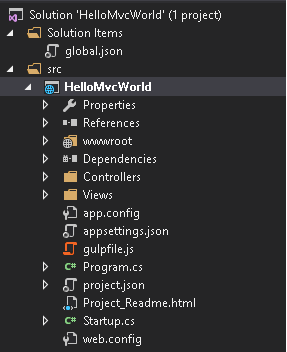 This will contain all the out-of-the-box features the MVC framework offers. Such as Razor, tag helpers and model binding. When you just want to build a Web API, we don't need all this features. So, how do we build a minimalistic Web API? The answer is: Microsoft.AspNetCore.Mvc.Core . In the new world MVC is split up into multiple packages and this package contains just the core components of the MVC framework, such as routing and authorization. The 'old' Web API comes with its own controller base class: ApiController . In the new world there is no such thing, only the default Controller class. 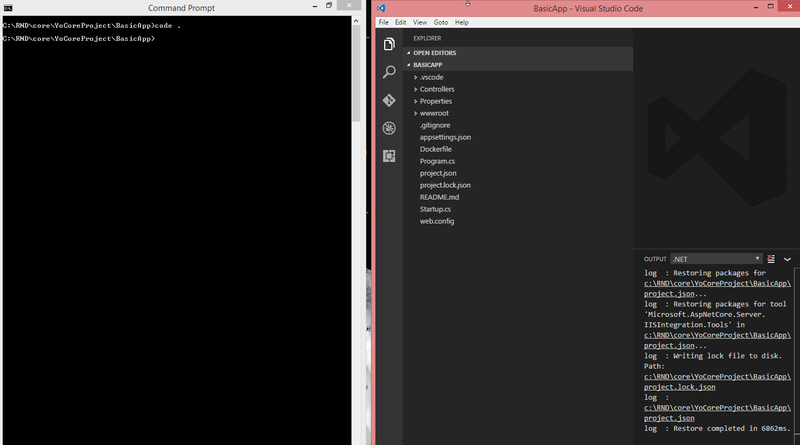 Unfortunately, this is a rather large base class and it's tied to model binding, views and JSON.NET. /// Base class for an API controller. The [Controller] attribute indicates that the type or any derived type is considered as a controller by the default controller discovery mechanism. The [ActionContext] attribute specifies that the property should be set with the current ActionContext when MVC creates the controller. The ActionContext provides information about the current request. ASP.NET Core MVC also offers a ControllerBase class which provides a controller base class just without views support. It's still much larger than ours though. Use it if you find it convenient. 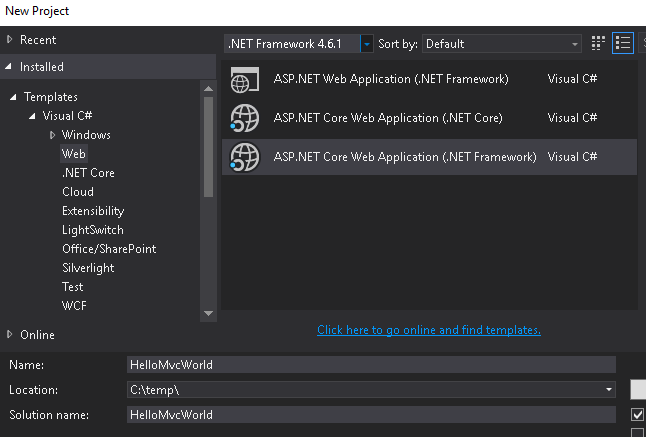 We can now build a minimal Web API using the new ASP.NET Core MVC framework. The modular package structure allows us to just pull in the packages we need and create a lean and simple application. 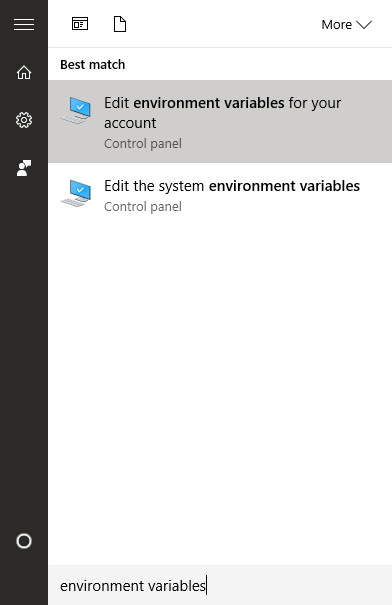 Assuming you do not already have a variable called ASPNETCORE_ENVIRONMENT , click the New... button and add a new account environment variable: Click OK to save all your changes. 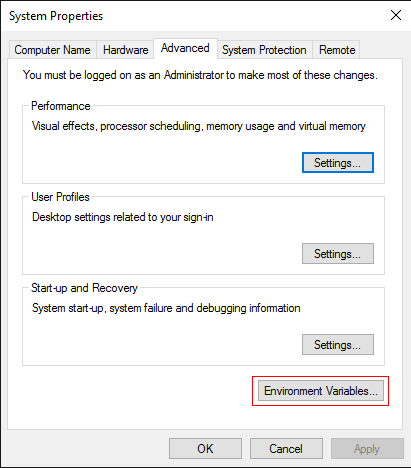 You will need to re-open any command windows to ensure the new environment variables are loaded. With AspNetCore you can develop the application on any platform including Mac,Linux,Window and Docker. Now we have all the setup on your machine. 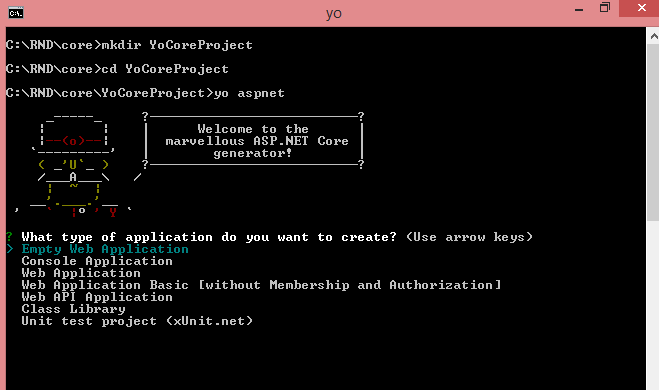 First let's create a new project with DotNetCore basic command and then create a new project using Yo. Now open the files and run the application. You can also search the extension for your help.